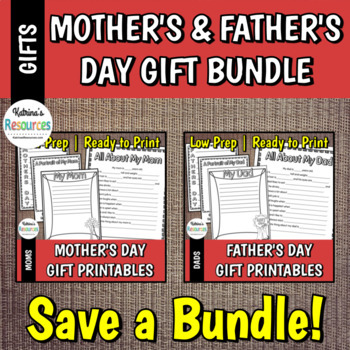 Get your students ready to celebrate Mother's Day and Father's Day with these products! Use these low-prep printables to create keepsakes for Mom and Dad. Buy the bundle and be prepared for both holidays this spring! Be sure to check out each individual product page for a preview of exactly what you get with each resource.